You may encounter this error in a number of places. 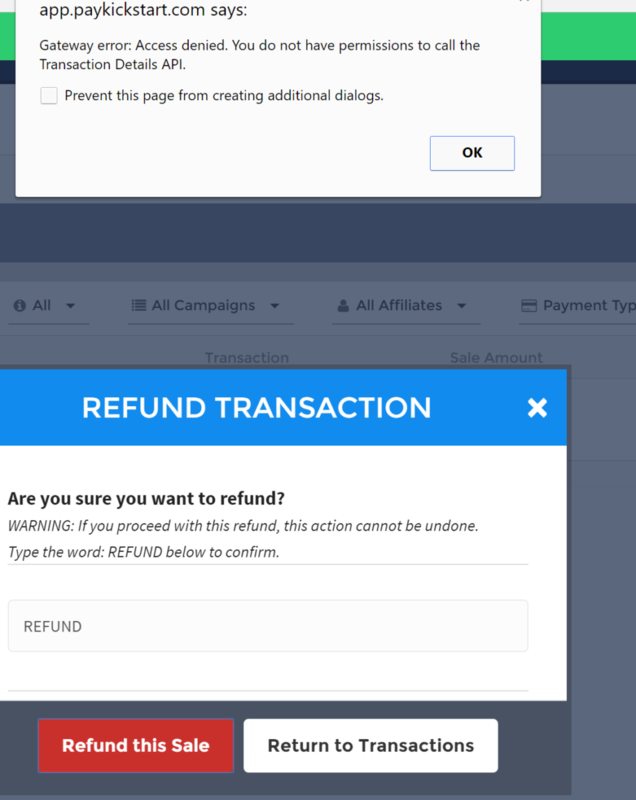 most commonly when you attempt a refund of an Authorize.net transaction. Click the Transaction Details API link in the Security Settings section. The Transaction Details API screen opens. If you have not already enabled the Transaction Details API, enter the answer to your Secret Question, then click Enable Transaction Details API. When you have successfully enabled the Transaction Details API, the Settings page displays.